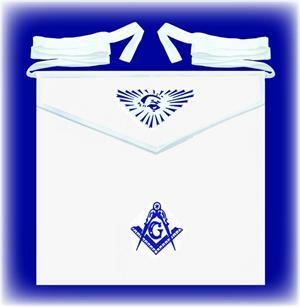 Bleached white duck apron 14" x 16" with tape ties and no border. 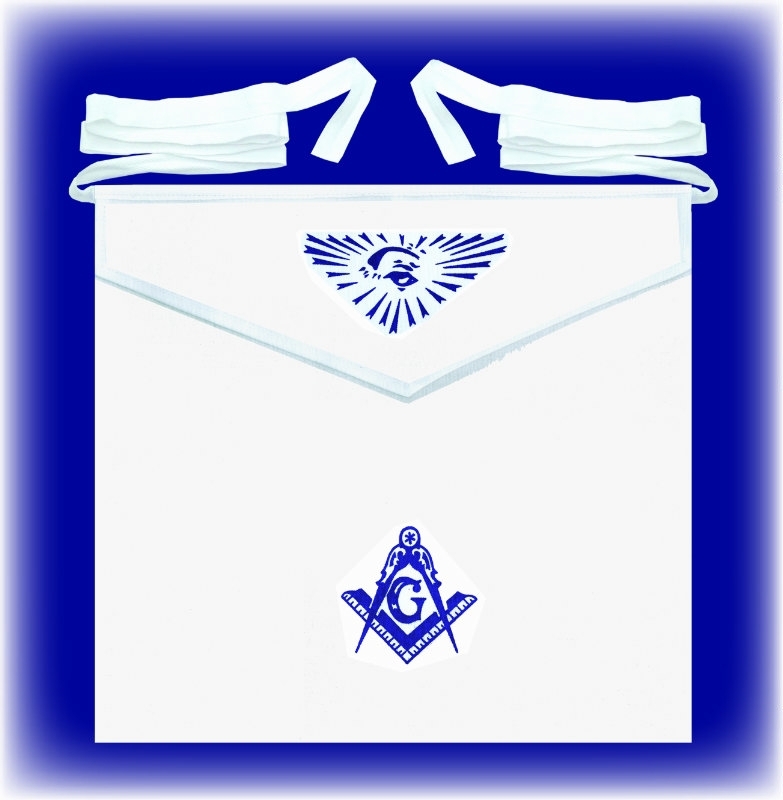 Blue print of all seeing eye on flap and Master Mason emblem on the body. All edges expertly hemmed. When ordering 12 or more , take advantage of our quantity discount.